If it’s not already on your radar, you should strongly consider the College of DuPage as a viable option. I’m not certain if it is still the case, but in my high-school years, the College of DuPage (COD) in Glen Ellyn, had a bit of a negative stigma associated with it. The school was sometimes thought of as a catch-all for those who lacked direction, or those who weren’t accepted to four-year universities. Perhaps there is some truth to that, but regardless, COD is an excellent school. 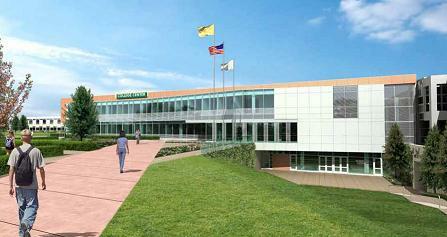 From a financial viewpoint, the College of DuPage makes sense. For residents of DuPage County, COD is very affordable (it’s fairly affordable for non-DuPage residents as well). Private four-year universities are costly. Even state-colleges have become quite expensive (especially when you take living expenses into consideration). On top of significantly lower tuition costs, COD students often live in the family home while attending school, and thus, living expenses are also reduced. I was a student at COD sometime ago, and graduated with an Associates degree before moving on to an four-year university to pursue my Bachelors degree. I can honestly say that the educational experience I had at the College of DuPage was excellent. I very much enjoyed the coursework (General Studies) and programs the school had to offer. The instructors, overall, were great as well. Many of the instructors at COD are part-time staff who have other full-time careers (very often associated with the programs they are teaching). This is a huge benefit to students, as many of these instructors are share real-world examples and applications of the subject-matter being taught. This was the single-most identifiable difference I noticed in the instruction I received at COD compared to the four-year college I attended. Not that my professors at the 4-year college were schleps, but in retrospect, they often seemed out-of-touch with today’s workplace. That’s what I like about the College of DuPage. The school is focused on providing a real-world educational experience. The course-offerings are very focused and directed to specific career paths. Students graduating from COD with degrees or certifications in such programs can confidently expect that they have acquired the necessary skills and education to begin working in those fields almost immediately. Now, more than ever before, COD’s commitment to career-oriented education is evident. The college has been undergoing a transformation and modernization. New buildings, facility updates, and additional educational programs are being offered. The College of DuPage is not as I remember it; it’s even better now. Check out COD’s masterplan for more information about the new educational buildings and campus development. Future Fuel a Source of Future Naperville Area Jobs?